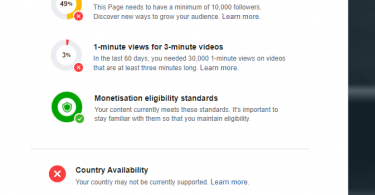 Facebook recently announce videos monetization, so first you can setup facebook videos monetization then go to creator studio and then Monetization section, you will see your revenue and ads impression as well as below picture. some peoples thinking about facebook pays per 1000 views or per Million views but you are wrong, Facebook pays per 1000 ads impressions on your videos, it does not depend on the Million views or thousand views. Some peoples earn $5 or more on per 1000 ads impressions and some people earn $1 or less because it depends on the country where your videos watching. Facebook pays some countries like Asian countries $1 or less and European countries $3-$5 on per 1000 impressions. It is also known as (CPM) Cost per impression. Facebook allows users or publishers to earn some handsome money like youtube and withdraw money monthly by Paypal/Bank A/c.